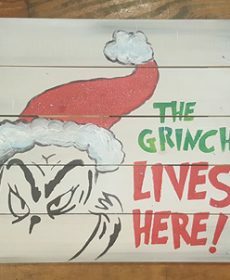 Paint any design on a pallet! Join us November 8 from 6-8pm for Artists Uncork’d step-by-step painting class. Beginners are always welcome. Bring your best friends and fall in love with painting with acrylics. Supplies included with class. Tickets are $40 per person. Space is limited so make your reservations today by going to Artists Uncork’d.